Private First Class Paul Dean Elwart was born on June 14, 1946 to Mr. and Mrs. David G. Elwart of Ypsilanti, Michigan. Paul is a 1964 Honor graduate of Sacred Heart High School in Detroit, Michigan. He also attended the University of Michigan, Michigan State University and the University of Detroit before entering the Army in September of 1968. 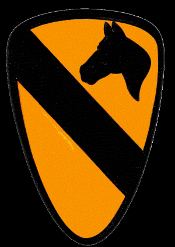 Private First Class Ellwart began his tour of duty in Tay Ninh Province, South Vietnam on February 9, 1969 as an infrantryman serving with C Company, 1st Battalion, 7th Cavalry, 1st Cavalry Division. Paul was killed on May 12, 1969 due to multiple fragmentation wounds just three months and three days into his tour of duty "In-Country". Paul Dean Elwart is survived by his parents and a brother. He lived 22 years, 10 months and 26 days. Paul's name is listed on the Vietnam Memorial in Ypsilanti Township under Ypsilanti. His name also appears on the Vietnam Memorial in Washington, DC on Panel 25W Line 067.